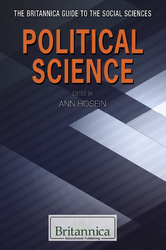 This book traces the development of political science from ancient influences such as Plato and Aristotle to modern political shapers such as Robert A. Dahl. It covers changes to the field in both thought and practice due to the rise and fall of political regimes, world wars, colonialism, and social media. The book also includes thorough examinations of international relations, systems of government, constitutions, domestic policy, public opinion, and administration. The book ends with brief biographies of important people in the field of political science that specifies their various contributions.